Ms. Paterson has been a resident of Middlesex County her entire life, graduating from New Brunswick High School, and then attending and graduating with a BA in History from Rutgers College in New Brunswick. She then received a J.D. from Seton Hall University School of Law. Ms. Paterson has primarily focused her legal career in the areas of Personal Injury and Workers Compensation, with additional experience in Matrimonial Law, Municipal Court, Wills and Estates and Real Estate. In Workers Compensation Court she has 20 years experience representing clients in Second Injury Trials, hearings on motions seeking medical benefits and medical treatment, and settlements. 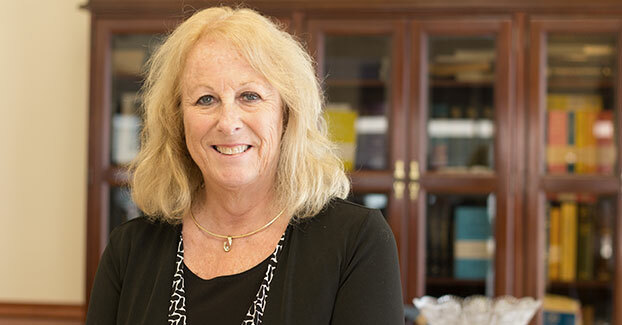 She has tried dozens of personal injury jury trials to verdict in the New Jersey Superior Court in the areas of automobile accidents, slips and falls and Title 59 matters. Ms. Paterson began practicing law in 1980 until 1982 with John Mulkerin in Metuchen.The firm was a general practice. Thereafter, after dedicating 7 years to raising her family, she returned to practice in the Perth Amboy firm of Ronald Kogos. There she practiced Personal Injury, Workers Compensation, and Family Law. From 1997- 1999 Ms. Paterson was employed in her second Perth Amboy firm, Horowitz & Horowitz, which later became the Law Offices of Victor Horowitz. There she practiced exclusively Personal Injury Trial Litigation, acquiring her litigation and trial skills since she was in court daily handling all of the firm’s court matters. From 2000 to 2012, Ms. Paterson practiced in Highland Park for the Harold Gerr Law Firm, handling Personal Injury and Workers Compensation. From 2013 to 2014, she was employed as a Personal Injury attorney for the firm of Steven Haddad. In March 2014 she began with the Law Offices of Karim Arzadi, and immediately put her experience to use effectively handling Personal Injury trials, representing the firm’s clients in court for arbitrations, motions and handling their jury trials, as well as other court matters. Ms. Paterson currently works on many of the firm’s Personal Injury Motor Vehicle matters from inception to conclusion. Ms. Paterson is a court appointed the arbitrator at the Middlesex County Courthouse, where several times throughout the year, she arbitrates other firms automobile, fall down, and miscellaneous personal injury cases, in an attempt to help them settle prior to trial. In addition to the legal skills she has acquired over her many years in practice handling the legal matters and court appearances, the years of experience have made her an experienced negotiator, who can settle many cases before trial. When not working, Ms. Paterson likes to spend time with her husband, children, and grandchildren, as well as walking her dogs. Middlesex County Bar Association: Seven years ago, Ms. Paterson was appointed to serve on the Zoning Board in the Township of East Brunswick, where at present she is the Chair and has previously served as its Vice Chair and Secretary.